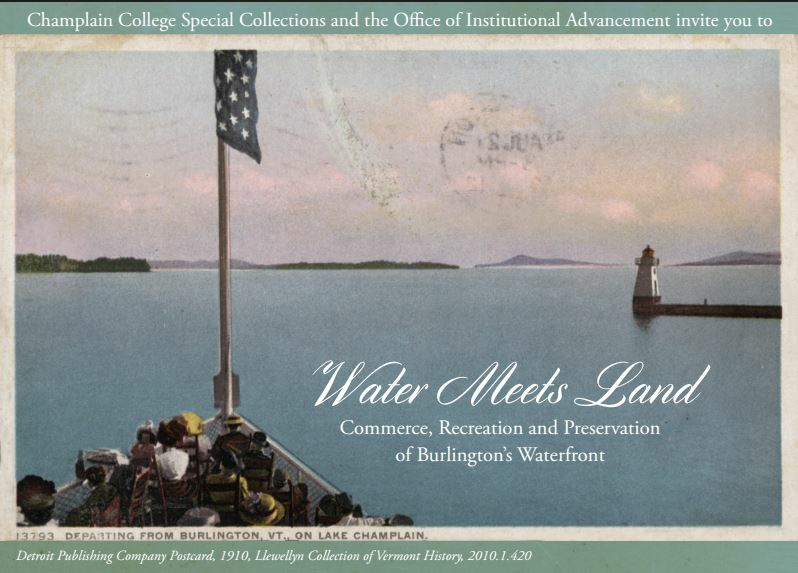 Water Meets Land will be held from 7 to 9 p.m. in the Champlain Room at Champlain College’s Center for Communications and Creative Media at 375 Maple St., in Burlington. Presentations will begin at 7:30 p.m., and light refreshments will be served. This event is free and open to the public, but seating is limited. To confirm a seat, please respond no later than May 18 to waterlandrsvp@champlain.edu or call (802) 860-2785. Founded in 1878, Champlain College is a small, not-for-profit, private college in Burlington, Vermont, with additional campuses in Montreal, Quebec and Dublin, Ireland. Champlain offers a traditional undergraduate experience from its beautiful campus overlooking Lake Champlain and more than 60 online undergraduate and graduate degree programs and certificates. Champlain's distinctive career-driven approach to higher education embodies the notion that true learning occurs when information and experience come together to create knowledge. Champlain College is included in the Princeton Review's The Best 380 Colleges: 2016 Edition. Champlain College is featured in the "Fiske Guide to Colleges" for 2016 as one of the "best and most interesting schools" in the United States, Canada and Great Britain. Champlain was named the #1 “Most Innovative School” in the North by the U.S. News and World Report’s 2016 “America’s Best Colleges and #14 in the overall list of “Best Regional Colleges in the North. For more information, visit www.champlain.edu.